Brandeis University’s Robert D. Farber University Archives & Special Collections Department proudly counts among its holdings a complete and original issue of one of the most important publications in modern history, the thirty-five volume Encyclopédie, ou dictionnaire raisonné des sciences, des arts et des métiers (Encyclopedia, or a Systematic Dictionary of the Sciences, Arts and Crafts). 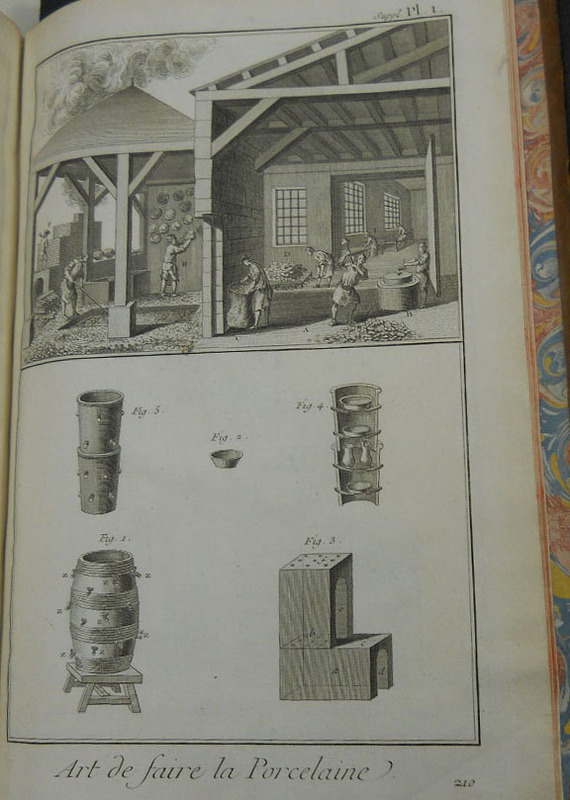 Published between 1751 and 1780, this general encyclopedia edited by Denis Diderot and Jean le Rond d’Alembert consists of twenty-one volumes of text (seventeen original and four supplemental), twelve volumes of illustrations (eleven original and one supplemental), and a two-volume index. 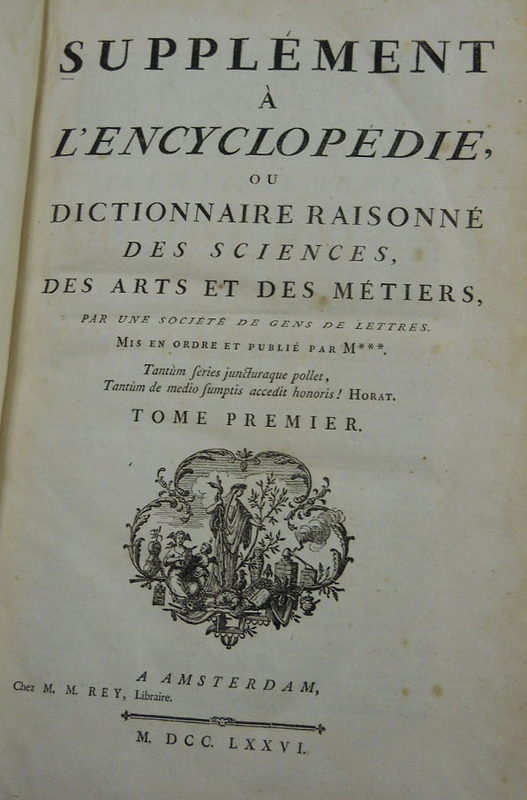 While the supplemental volumes and the index were neither written nor edited by either Diderot or d’Alembert, they are often considered to be part of the first full issue of the Encyclopédie. The original editors themselves were fully aware that the enterprise of collecting knowledge was inherently unending. “It would have been difficult to propose a more extensive object than covering everything related to human curiosity, duty, needs, and pleasures. For this reason some persons accustomed to judge the possibilities of an enterprise by the limited resources they recognize in themselves have pronounced that we will never bring ours to completion…” (1). 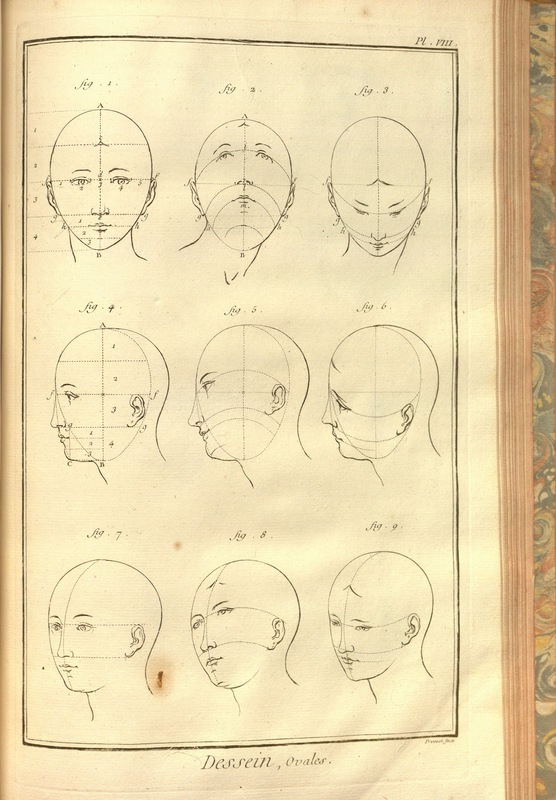 In 1775 Charles Joseph Panckoucke was granted permission to reissue the work, and when he did so he added seven volumes: the five supplements and the two-volume index. 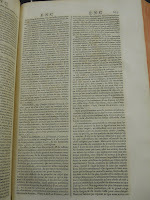 Printed by the Société typographique de Neuchâtel, the original twenty-eight volumes were written by a myriad of authors, experts in their fields. 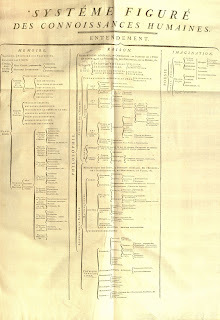 This method of presenting accurate and comprehensive information fit in cleanly with Diderot and d’Alembert’s vision. 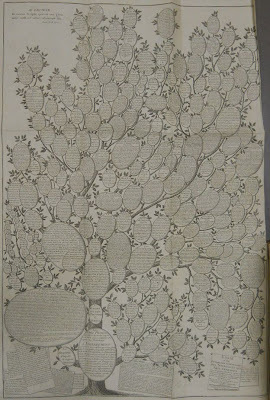 According to Diderot’s entry on Encyclopedias: “When one considers the immense material for an encyclopedia, the only thing one perceives distinctly is that it cannot be the work of a single man. How could a single man, in the short span of his life, manage to comprehend and develop the universal system of nature and art?” (1). Previous dictionaries and encyclopedias were usually written by one person—they represented a single vision and a single set of ideas. The Encyclopédie comprised a multitude of voices. But it was not just for its numerous and named authors that this work was innovative. 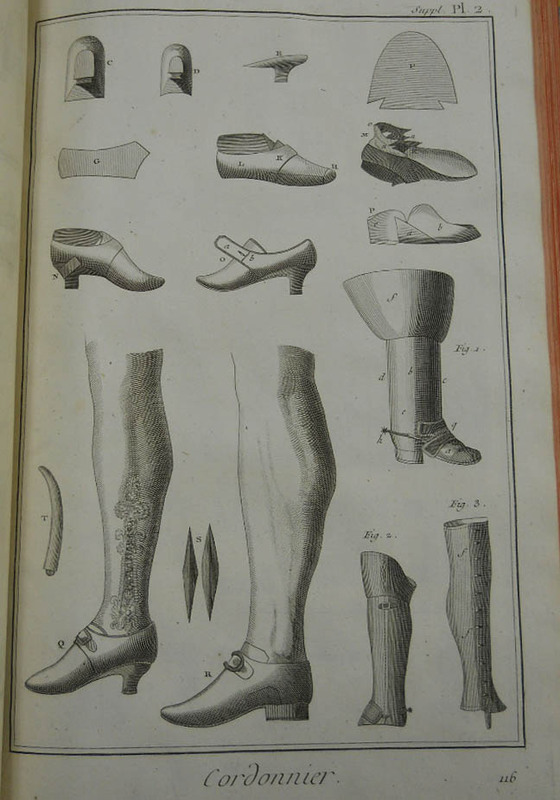 The Encyclopédie also focused a great deal of attention on the mechanical arts (applied arts such as tailoring, agriculture, architecture/masonry, warfare, and metallurgy), which had not been done before. These articles were attended by magnificent, detailed illustrations, transforming word into image and image into understanding. If you are reading this blog you likely live in a world of comprehensive and instantly accessible information, constantly updated and presented from every possible point of view. 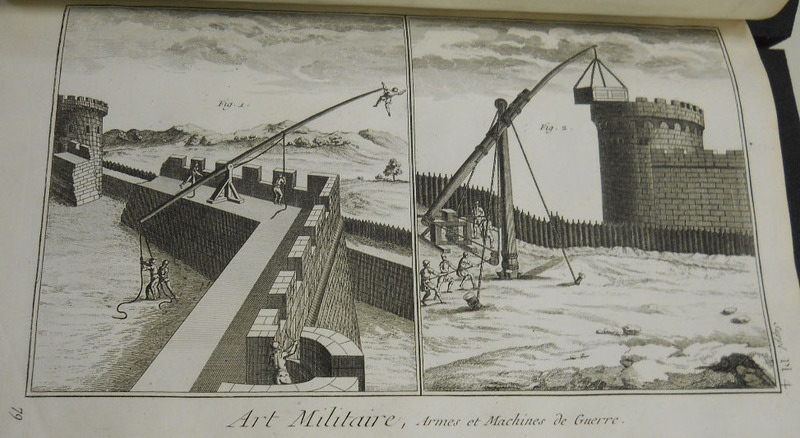 In such a world it is perhaps difficult to see a project such as the Encyclopédie as exciting or even significant. 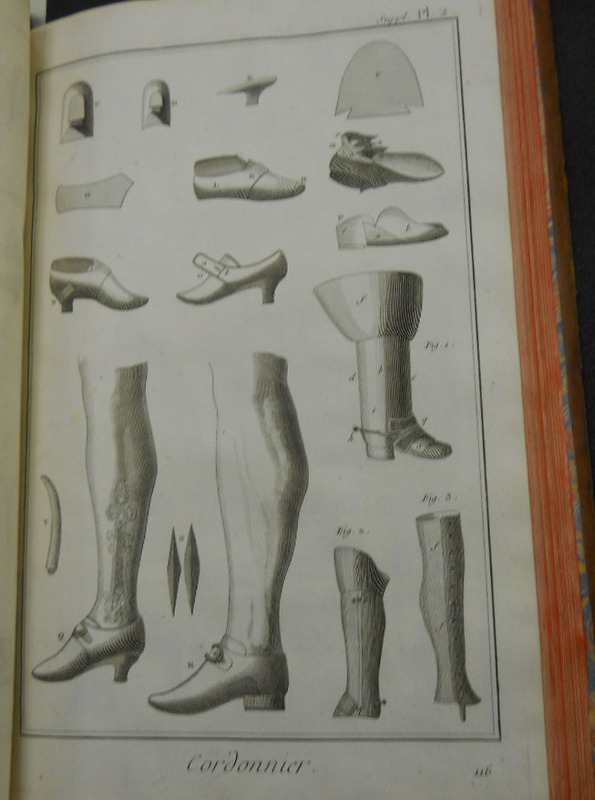 In order to understand the momentousness of Diderot and d’Alembert’s great collaborative work, we must recall the rarity of such a comprehensive source of general information. Previous attempts at the organization of universal knowledge were often single-minded, myopic, and inaccessible. 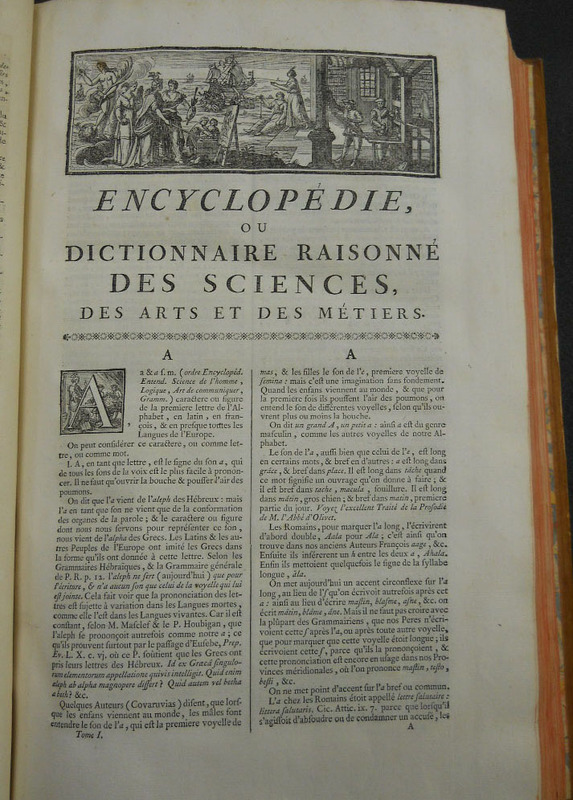 Perusing the Encyclopédie today means not just accessing information, or even learning about what was important and understood a quarter of a millennium ago. It means understanding what the presentation of such vast swaths of knowledge meant, and it especially means considering its accessibility. Access to information was far less egalitarian than it is today, and it was often so directed and controlled that the purpose of its presentation was far less about educating and liberating than it was about controlling and subjugating. The work whose first volume we are presenting today has two aims. 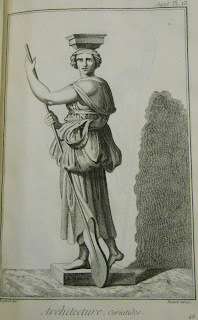 As an Encyclopedia, it is to set forth as well as possible the order and connection of the parts of human knowledge. As a Reasoned Dictionary of the Sciences, Arts, and Trades, it is to contain the general principles that form the basis of each science and each art, liberal or mechanical, and the most essential facts that make up the body and substance of each (3). 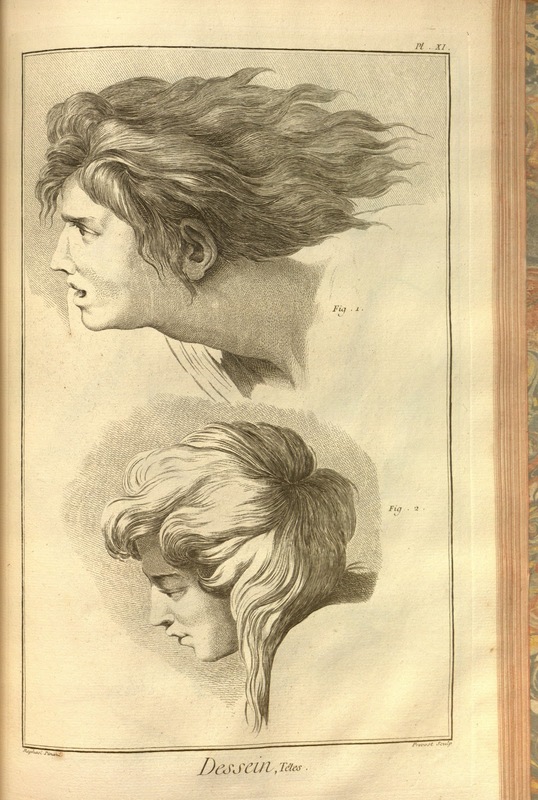 Diderot and d’Alembert did not just present information. They systematized it, codified it, and offered their “Tree of Knowledge” as a taxonomy of all human understanding up to that very moment. Using Francis Bacon's The Advancement of Learning as a source of inspiration, the duo presented three main branches of knowledge: “Memory” (History), “Reason” (Philosophy), and “Imagination” (Poetry). 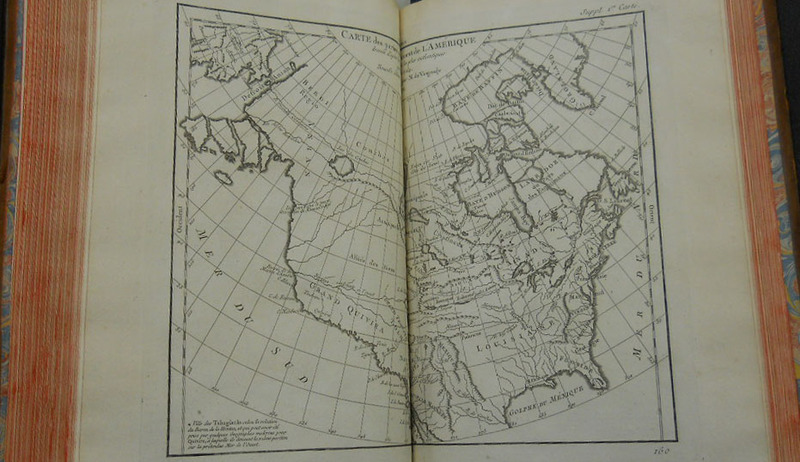 This map of the world of information was presented to readers as a method not only of organization but also of evaluation. 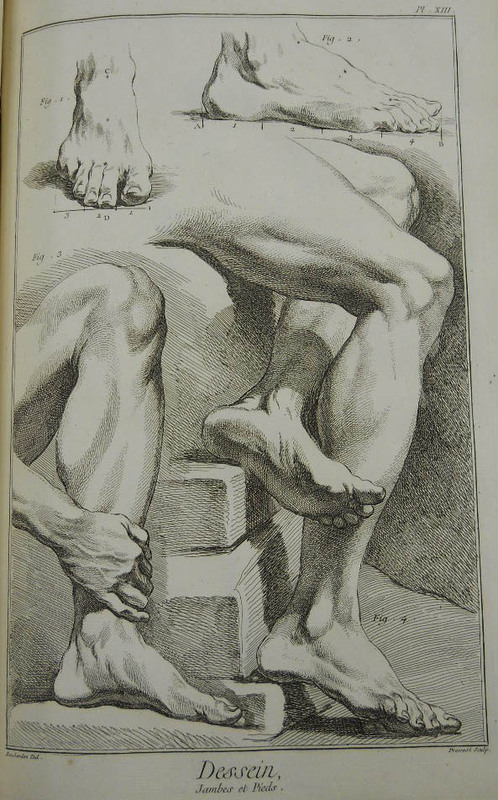 It allowed readers to answer: How useful is the content within? How can this information best be used? Where does it fit in? How and why is it important? How does it relate to everything else? 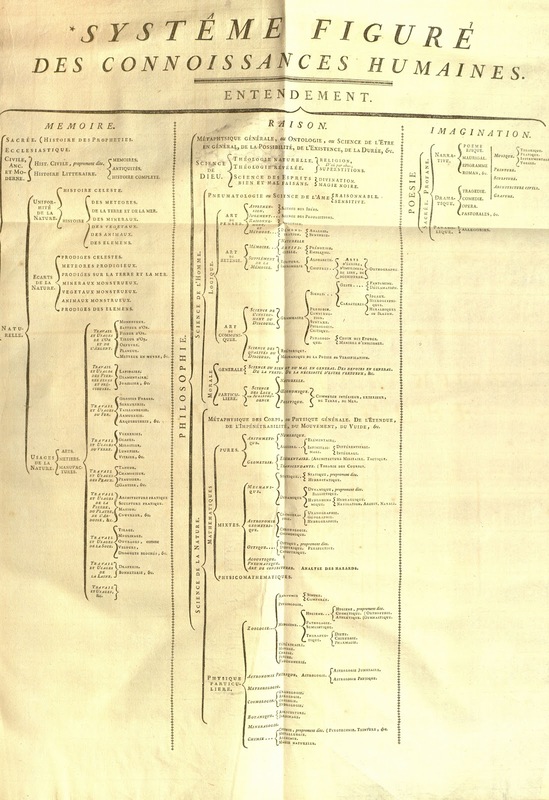 The didactic and schematic presentation of knowledge rather than the cold listing of data lay at the core of the Encyclopédie’s egalitarian project. Of course the Encyclopédie was not accessible to everyone—not even close. But it came closer than its predecessors. 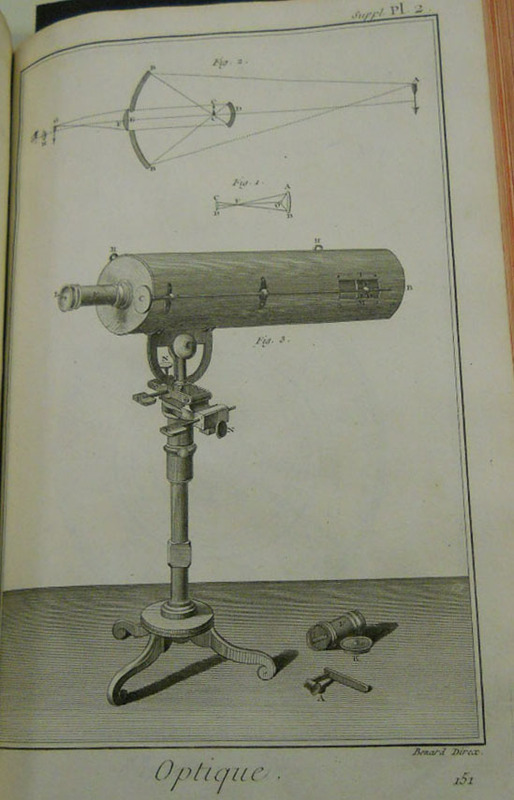 “The booksellers liked the Encyclopédie because their customers bought it…. Its typographical metamorphoses suggest that after having been originally aimed at an audience of seigneurs and sophisticates, it had penetrated into the remotest sectors of the reading public…. 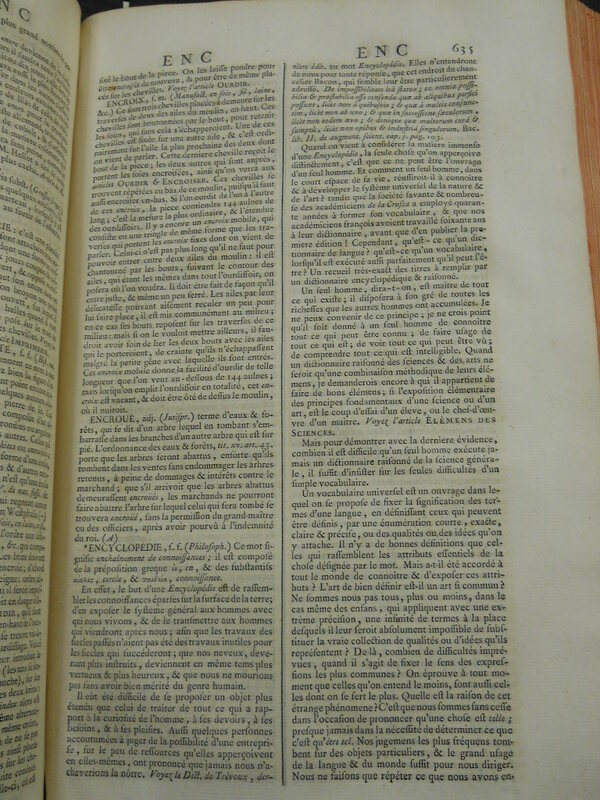 The ‘democratization’ of the Encyclopédie had limits, however, because even the cheapest edition would have seemed expensive to the common people” (4). With the passing of the years and especially with the growth of the Internet, access to information is no longer so cost- or class-prohibitive. 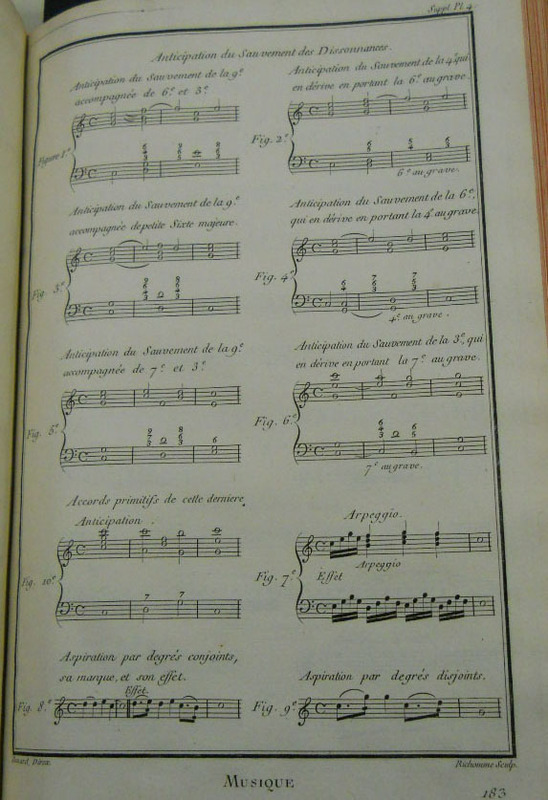 Over the last few decades, several academic institutions have worked, singly and in concert, to make the Encyclopédie available online and searchable, in both French and English. While we encourage our readers to take advantage of the fantastic work being done by the University of Chicago and University of Michigan, we also recommend that you come and see the original for yourselves. Come turn the 270-year-old pages of the work that made such a glorious impact on the world. (1) Diderot, Denis. 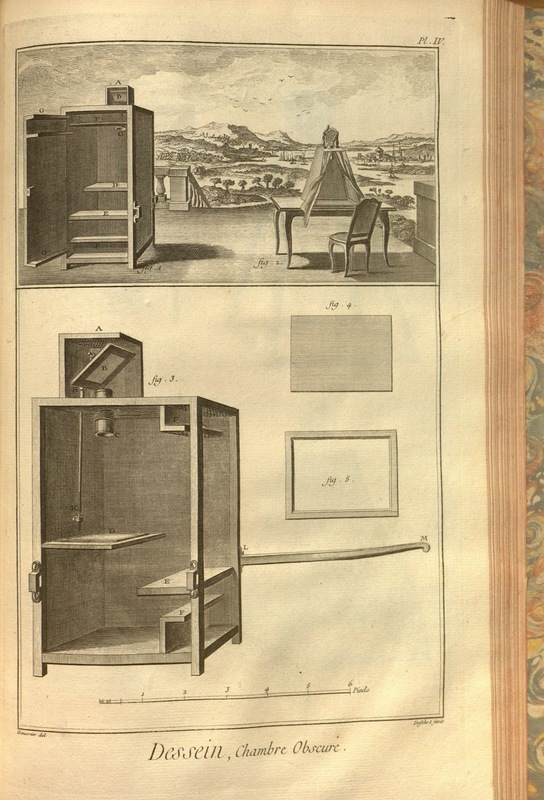 “Encyclopedia.” The Encyclopedia of Diderot & d’Alembert Collaborative Translation Project. Translated by Philip Stewart. Ann Arbor: MPublishing, University of Michigan Library, 2002. http://hdl.handle.net/2027/spo.did2222.0000.004 (accessed April 26, 2012). 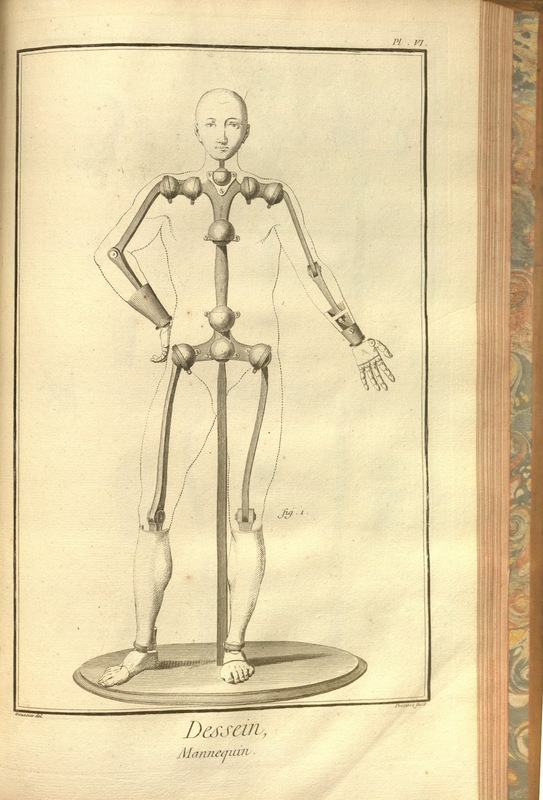 Originally published as “Encyclopédie,” Encyclopédie ou Dictionnaire raisonné des sciences, des arts et des métiers, 5:635–648A (Paris, 1755). 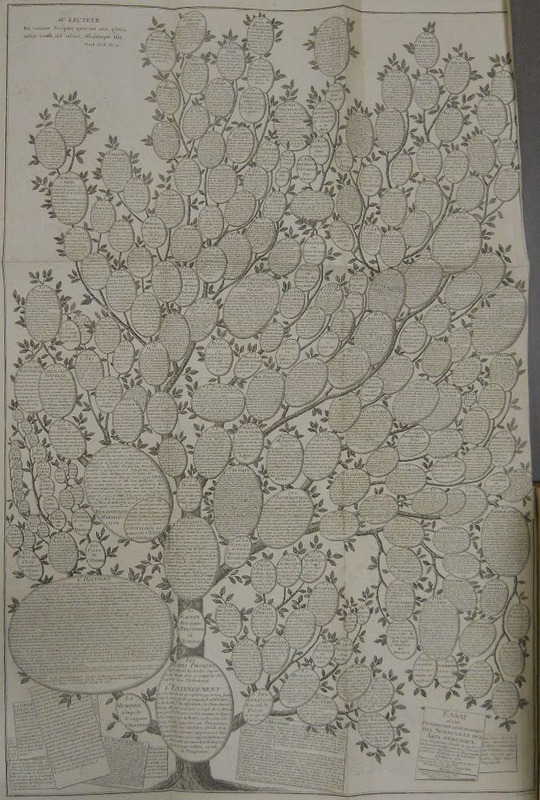 (2) Philipp Blom, Enlightening the World: Encyclopédie, The Book that Changed the Course of History. New York: Palgrave Macmillan, 2004, Prologue. 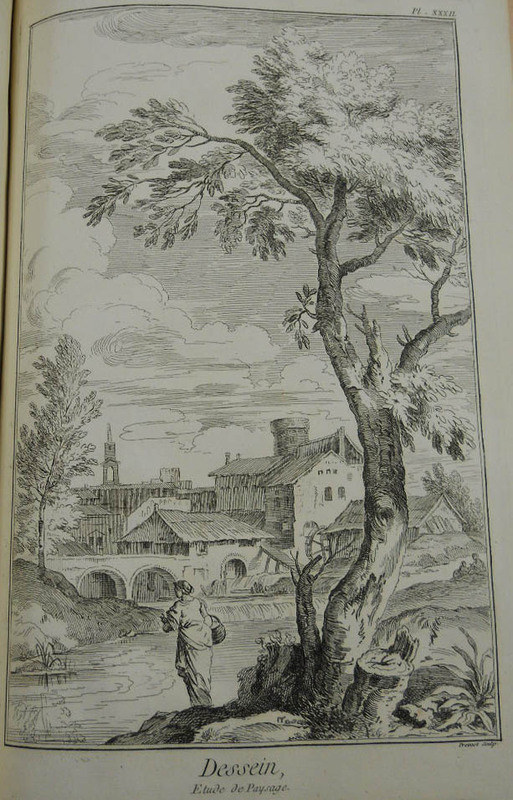 (3) d’Alembert, Jean Le Rond. 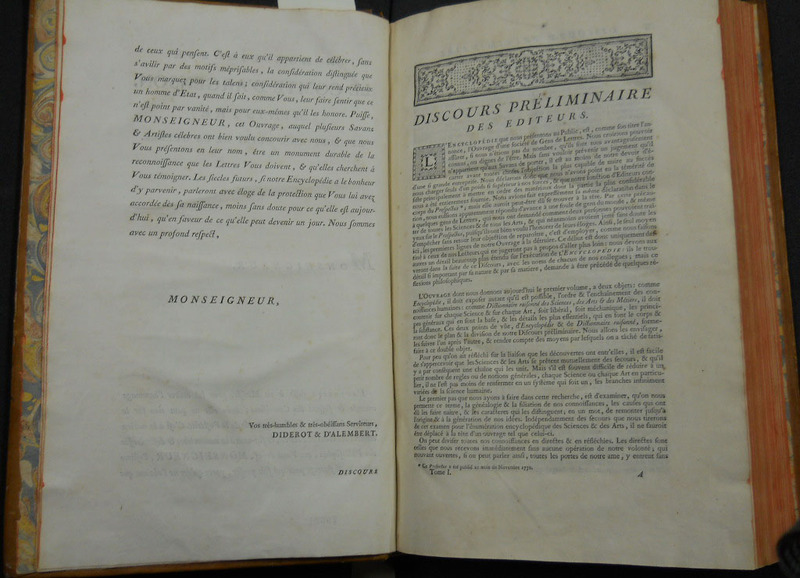 “Preliminary Discourse.” The Encyclopedia of Diderot & d’Alembert Collaborative Translation Project. Translated by Richard N. Schwab and Walter E. Rex. Ann Arbor: MPublishing, University of Michigan Library, 2009. http://hdl.handle.net/2027/spo.did2222.0001.083 (accessed April 26, 2012). 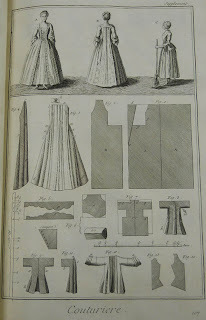 Originally published as “Discourse Préliminaire,” Encyclopédie ou Dictionnaire raisonné des sciences, des arts et des métiers, 1:i-xlv (Paris, 1751). 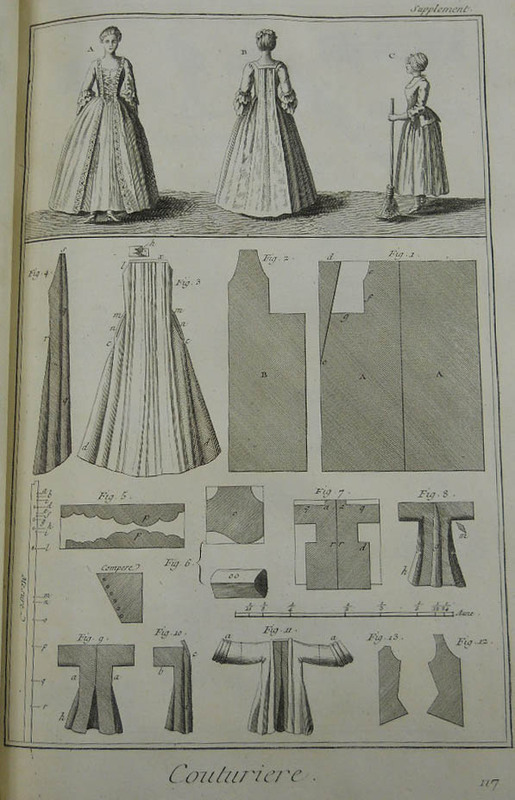 (4) Robert Darnton, The Business of Enlightenment: A Publishing History of the Encyclopédie, 1775-1800. Cambridge, Mass: The Belknap Press of Harvard University Press, 1979, p. 273.